Talisman is committed to conducting its business safely and in an ethically, socially and environmentally responsible manner. The company is a participant in the United Nations Global Compact and is also included in the Dow Jones Sustainability North America Index. Talisman was the first Canadian company to join the Voluntary Principles on Security and Human Rights Plenary Group developed by the United States (US) and United Kingdom (UK) governments. Talisman was established in 1992 and is headquartered in Calgary, Canada. Talisman is listed on the Toronto and New York stock exchanges under the symbol TLM. The company is also part of the S&P/TSX 60 Index. 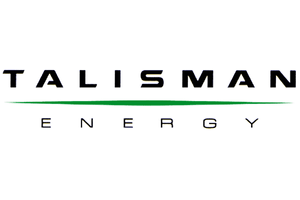 Talisman Energy Inc , Canada's No. 5 independent oil and gas producer, said on Wednesday it still plans to sell all or a portion of its exploration properties in Iraq's Kurdistan region despite the conflict in the area and expects to begin a sale process in the next several weeks.